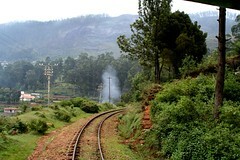 Though I could have taken the train to Ooty directly, I decided to take a break at Coonoor. 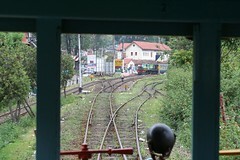 After a scenic journey I reached Coonoor at around 10.30 AM. 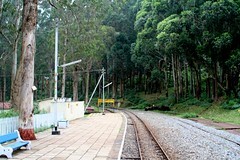 My train to Ooty was at 16.30 hrs. I caught hold of one Rickshaw and struck a deal with him. He agreed to show me entire coonoor for 450 Rs in 5 hrs. First I went to a doctor nearby and got treated for the finger. He gave some medicines, so that there is no infection. By this time I had got used to the pain. Hmmm. 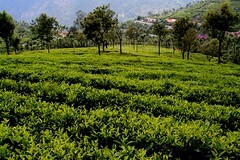 Coonoor is filled with tea estates and the adjoining areas like Wellington, Lambs rock, Dolphins nose etc are scenic too. The roads are narrow and you can find many trucks, carrying the tea bags. 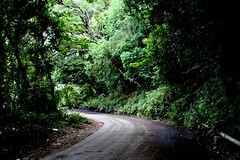 If you are visiting coonoor donâ€™t miss out the approach route to Lambs rock and Dolphins nose. The atmosphere is serene and god has spent extra hours decorating this area. By the time I finished sight seeing it was around 3 PM. 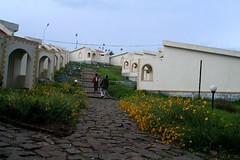 After a quick lunch(Not many good hotels around Coonoor, and the rice is not at all good ïŒ ) I left for the station. I think I spoke too early about the train journey from Mettupalayam to Coonoor. 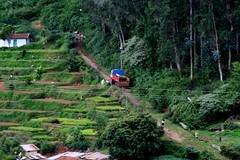 The journey from Coonoor to Ooty was even better. And it had rained enroute. For this journey, they use a biodiesel engine, and the engine is once again at the back. The station names en route are interesting. Aravankadu, Ketti, Lovedale etc. 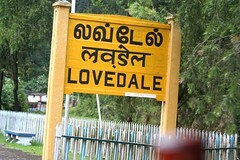 What on earth does Lovedale mean? My favorite of all stations is Ketti. On the way you encounter many isolated huts, where preparation for dinner was on. And this was the area where the song chayya chayya from Dilse was taken. Not to forget the awesome â€˜Poongatru pudhidhanadhuâ€™ from Moondram Pirai. 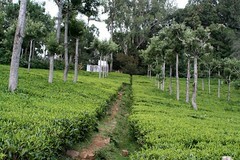 So after a very interesting and refreshing day, I reached Ooty by around 6 PM. By this time I was too tired and didnâ€™t have patience to take any more photographs. So with lots of struggle, I kept the camera inside my overloaded bag. The resort where I stayed is called Trans India. My friend Arun had suggested this place and it was some 5 to 6 kms away from the main city. I wanted such a place, far from the honeymoon and holiday crowd. It is not that flashy, nor does it have that great facilities. But it suited my requirement. With this an eventful day came to an end. 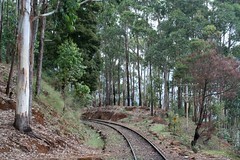 Coonoor set photos are available here, and Coonoor-Ooty rail section photos are available here. 3. You get decent snacks at Coonoor. Otherwise nothing available en route. 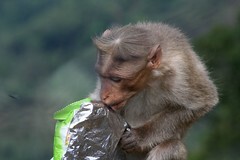 So if you are of the hungry types, pack your food. 4. No toilets on the train. But there are toilets at every station. 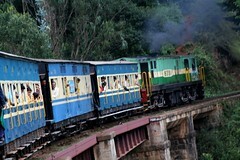 The train stops every 15 to 20 minutes from Mettupalayam to Coonoor. And it takes around 5 to 10 minutes for refilling water. 5. Journey from Coonoor to Ooty is for 1 hr and 15 minutes. 7. 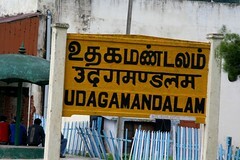 If you are leaving from Bangalore, I would suggest you to reach Mettupalayam the previous night itself. There are no trains that reach Coimbatore early in the morning for you to reach Mettupalayam before 7.10 A.M. Mayura is a decent hotel in Mettupalayam, with good food. 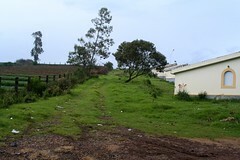 Laws Falls – In Mettupalayam – Coonoor main road. The falls located atop the mountain is really charming. 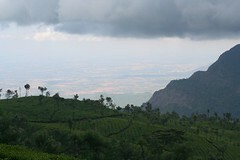 Droog – 25 Km from Coonoor. Has fort ruins of Tippu Sultan. 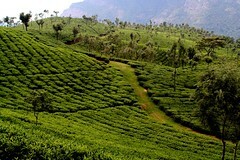 Wonderful tea estates. Can be accessed only by trekking. Mukurti Wildlife sanctuary – Need govt permission to go there. Has log houses to stay and virgin forest cover through out. 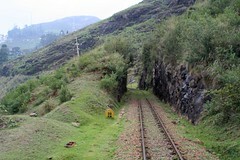 Glen Morgan – 30 km from Ooty. Has the famous “winch” used for hauling people. Excellent view point. Avalanche dam (Emerald heights)- The place where last scene in the movie “Roja” was shot. The lake in this place is clear green and it is absolutely still. The only noise you hear is the sound of birds. Hidden Valley – Near Wellington Cantonment. Steps like water falls. Very nice photos and good details for the travellers. Nice post prabhu! life nalla enjoy panringha… good… ungha kai ippo eppadi irukku? What about kanyakumari express? It reaches Coimbatore by 5.15am. If the train reaches in time, you have exactly 1 hr 55 min to reach Mettupalayam. Very close and bit risky. à®®à¯‚à®£à¯ à®µà®°à¯à®·à®¤à¯à®¤à¯à®² à®’à®°à¯ à®¤à®Ÿà®µà¯ˆ à®•à¯‚à®Ÿ 6 1/2 à®®à®£à®¿à®•à¯à®•à¯ à®®à¯à®©à¯à®©à®¾à®² à®•à¯‹à®¯à®®à¯à®¤à¯à®¤à¯‚à®°à¯ à®ªà¯‹à®©à®¤à¯ à®•à®¿à®Ÿà¯ˆà®¯à®¾à®¤à¯à®™à¯à®•.. à®¨à®®à¯à®ªà®¿ à®ªà¯‹à®¯à®¿à®Ÿà®¾à®¤à¯€à®™à¯à®•.. better take KPN, they drop u at mettupalayam by 6.
din’t have chance to visit ‘kodanaadu view point’?? Gr87. Finally you managed to find time to flirt with nature. Poramaya irukku. Enakku eppo leave kedaikkumo? Nice pictures and with lot of info. Nice to see. Thanks for the details. I am almost packing my bags to be there…!! “Dale” in poetic english means valley…many places in England are named dale…a nice valley in a mountain region. So probably the British officers named the place “love dale”. The lawrence school is famous there. 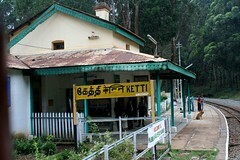 Ketti railway station features a lot in Idhayathai thirudathe aka geethanjali ( telugu), maniratnam movie. sari ungalukku thanimayil travelling romba pudikkumaa? 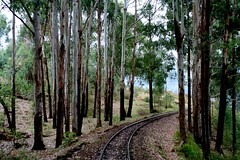 That first photograph under “coonoor to ooty” is so beautiful! I love it! 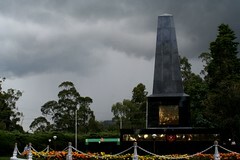 I know it is off season, but I love rains & so in the next week i will be visiting Coonoor for about a week & once I am back I will share my experiences with you all..
hey good to c ya write something about coonoor . Well i been there my entire life . Feels so good to see all the pics . 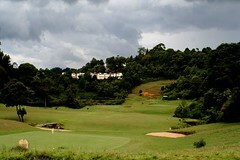 Well you can check out Wellington riga , or velan ritz for hotels in coonoor they are preety decent ones. Other places to see You can go to Sugar loaf in Barracks , its a mountain where the 10 commandments of christ is given as you climb up.. and in the last a cross , from where you really have a wonderfull view of coonoor ooty . Tiger Hill – the cemetary .. its really worth going a beautifull cemetary , all graves are embedded with beautifull poetry , writen by the british on the grave. Quite interesting. 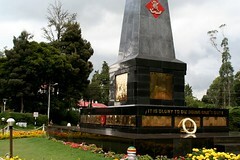 I went to Ooty when I was in College and now planning to go for my Honeymoon trip. Thank you for the info provided. Who is Roja Bhai how and what kind of help can we expect from him? 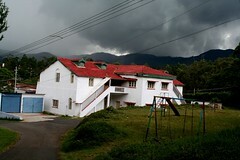 Where is Trans India, the place you stayed in Ooty? Can I have details? Very Interesting photographs. I just had one query!! There are two classes in the toy train. The first class and the second sitting class. Which one in your opinion is the most enjoyable one or is the same… I hope there will not be any glass sheilding on the windows in the first class. 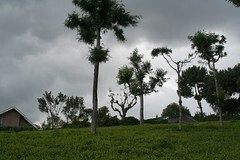 Well-written travelogue on coonoor and nice pics! 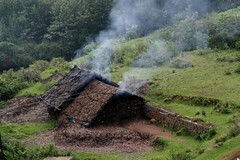 About the “isolated huts”, it is not dinner that is being prepared there but eucalyptus oil. If you enter them, you can see a huge vat in which eucalyptus leaves are boiled and the oil filtered out by means of a distilling tube. Interesting process, but watch out coz it can get smoky in there. Another tip…if you’re lucky to find the man in charge of the hut, you could even buy pure eucalyptus oil for less than the market price. Good for colds and joint pains. More info…Quality restaurant and Dragon restaurant are two places in Bedford, Coonoor, where you can get a decent meal. LOOKING TO FIND OUT THE NAME OF THE TEA GARDEN WHEN A PLANTER BY THE NAME OF CHARLIE MARRIOTT AN AUSTRALIAN SERVED THE TEA GARDEN AS AN ASST.MANAGER IN 1928. ANY LEADS TO THIS INFORMATION WILL BE VERY MUCH APPRECIATED. I dont know how much , I can help you , I was born in coonoor and now settled in banglaore . I really admire the brits of this generation for showing great interest and keen-ness with geneology . Even this has fascinated me , I visited the st stephens church ooty , st georges church wellington and it gives us the picture and desciption of those times . This is really monumental the dead still continue to live with these tombstones and remembrances , we need to preserve this and connect it . 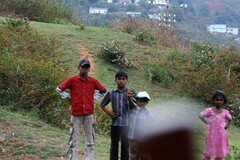 Thank You for these photos…..I am English, and I went to School in Coonoor. I have friends who are buried at Tiger Hill Cemetary, and I used to walk to Lamb’s Rock, and Hike the Droog, and Visit Dorothy’s Seat from where one can View Catherine’s Falls….. oh the memories ! 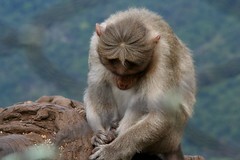 Thank you for your photos……I would love to return for a visit, and may be able to do so in 2011. Brian……. I may have a contact for you that could answer your question about Charlie Marriiott. I know people who were born in Coonoor and in Ooty in the 30’s, and they may well recall stories of this fellow you want info on. e-mail me at info@tropicalnewfoundland.com and let me know how to ciontact you and tell me exactly what you are looking for and I will do what I can to find out. 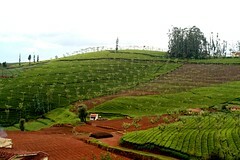 awesome picture prabhu…I m plannin to go to ooty recently….n ur view will definitely help me to plan my trip .u ended with “some important information” which will be really useful. u shared all unusual pictures which can touch ones heart easily. “That’s call a nature.”Great review. Information from Ram prasad is great. all r unknown but seem to be interesting places .